Mobile Bingo Bonuses are big fans of mobile billing, especially when it comes to paying for our gaming credit. The number of sites offering Boku, or pay by phone bill is rapidly increasing; so let us introduce you to one called Touch Lucky Casino. Launched using the Nektan platform, Touch Lucky Casino is the ideal combination of high quality games and generous bonuses. They bring you casino, scratch cards and video slots from the top providers around, with many of them being available on mobile and tablet devices. 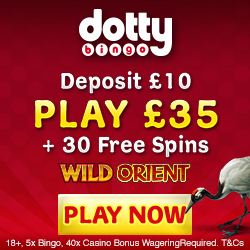 Your good fortune begins from the moment you register, because you’ll receive a £5 no deposit bonus. This little welcome from Touch Lucky Casino, provides you with the chance of seeing for yourself how great the site is. If you’re a regular player on Touch Lucky Casino, you could be invited to join their VIP Club; or as they call it the Privileged Club. 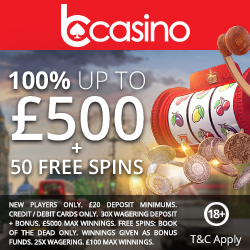 As a member you can enjoy extras such as cashback offers, weekly bonuses, birthday bonus and bonus spins. To ensure you keep up on the latest game news and extra promotions, head over to the Touch Lucky Casino Facebook and Twitter pages. These are also ideal for contacting someone should you need any support, or you can access representatives via telephone and email. They accept Credit and Debit Cards, U Kash, Skrill and Boku, which is the ability to charge your gaming credit to your mobile phone account. To claim the amazing £5 no deposit bonus, simply head on over to Touch Lucky Casino and enjoy!